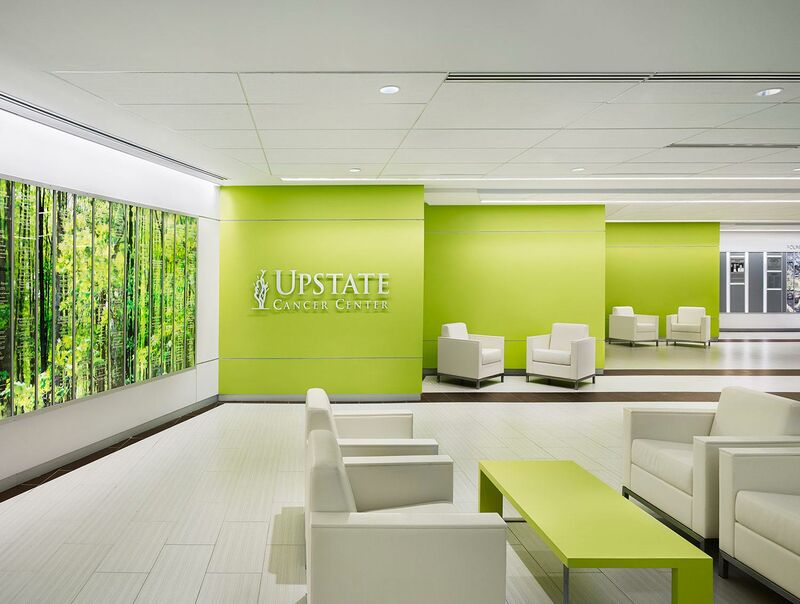 SUNY Upstate, the only academic medical center in Central New York, is the largest employer in the region, recruiting top-performing professionals in the field. 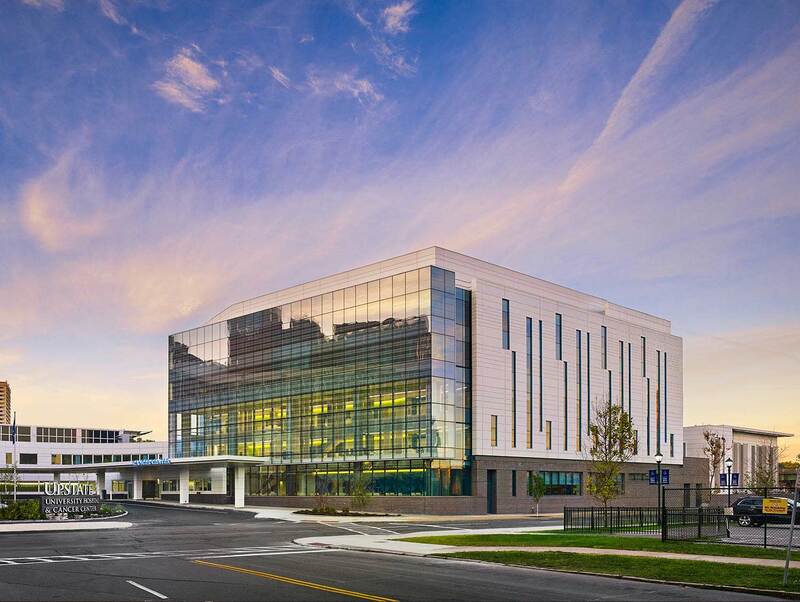 Consolidating researchers, physicians, patients, and visitors under one roof, the new 158,000 SF cancer center offers extensive staff support zones, collaboration spaces, hospitality-based amenities, comfortable waiting areas, a roof-top garden, and above all, cutting-edge medical equipment and services. 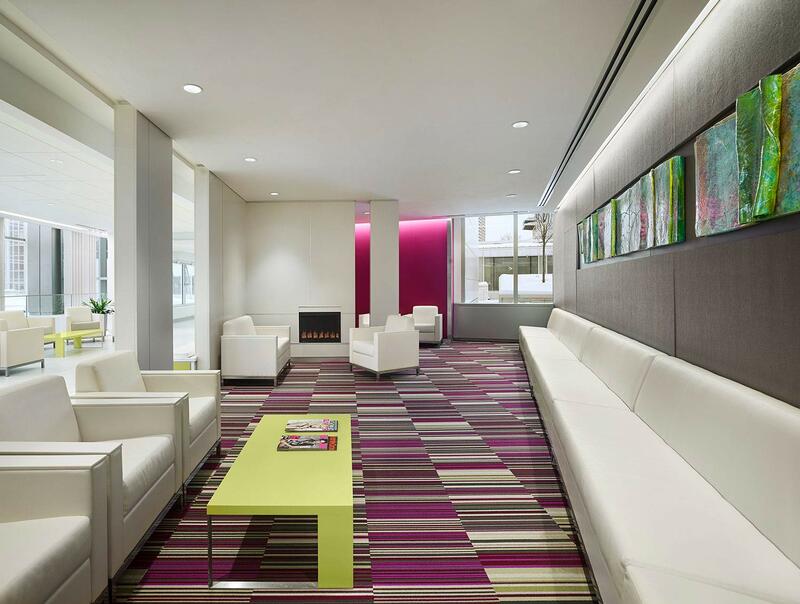 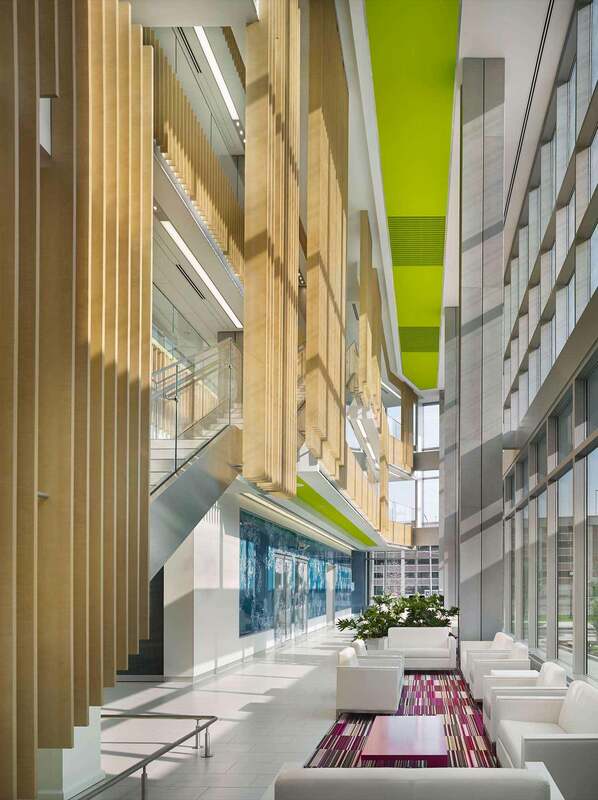 The driver for the design is to unite large teams that not only deliver the finest of healthcare treatments for patients, but also break new grounds in research and dissemination of knowledge. 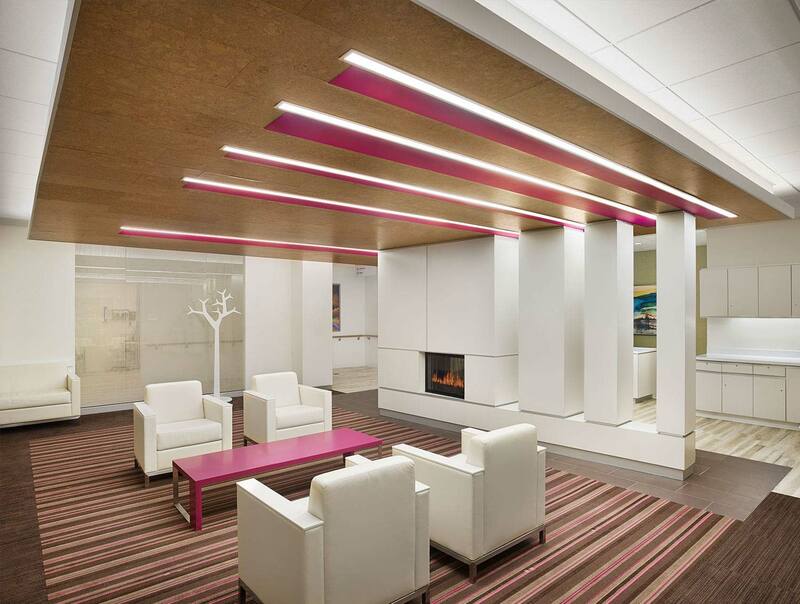 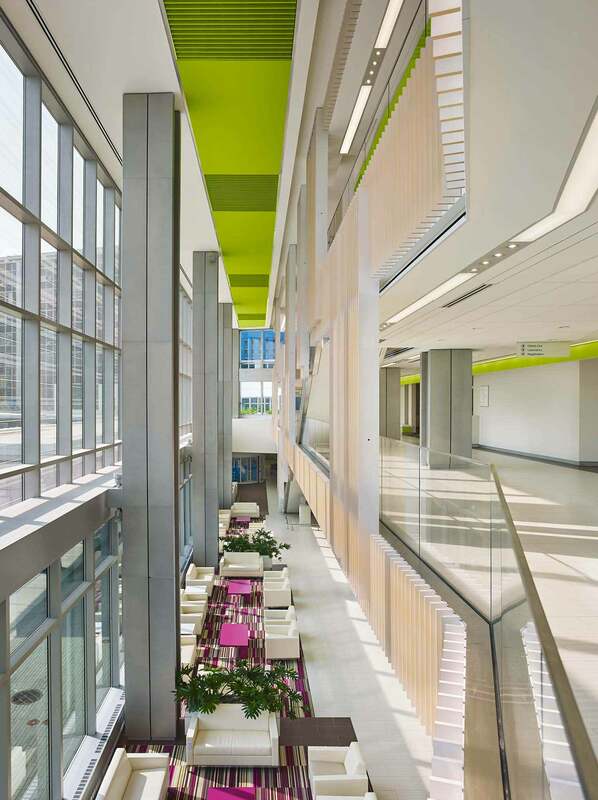 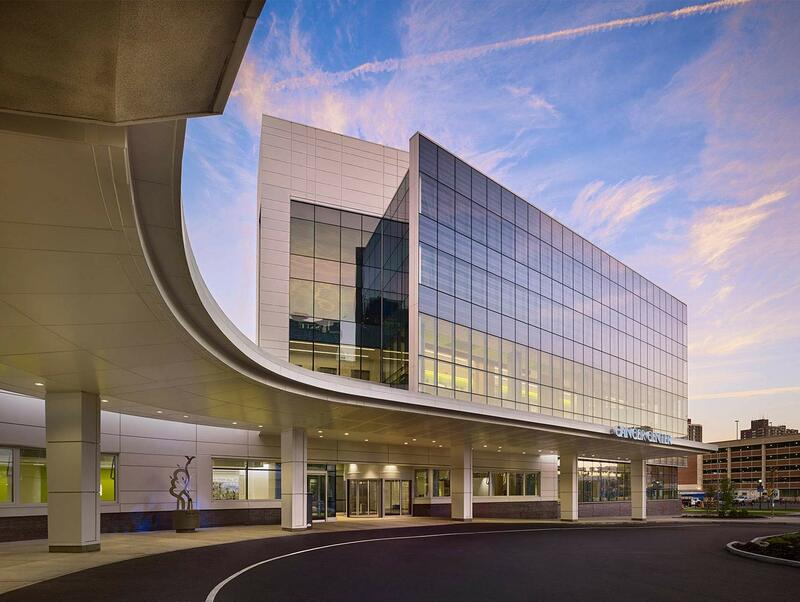 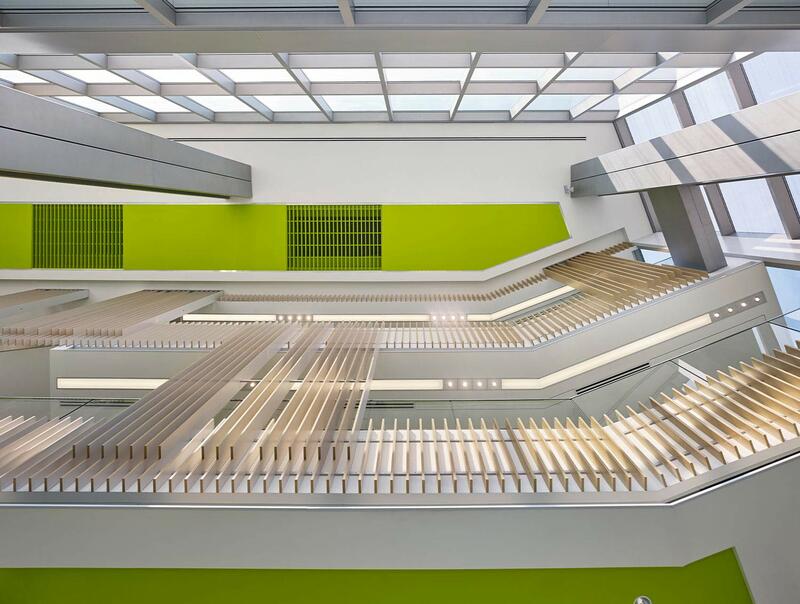 The new three-story atrium, continuous with the existing lobby of the University Hospital, forms a public circulation spine that brings together the existing hospital, the school, and the new cancer center. 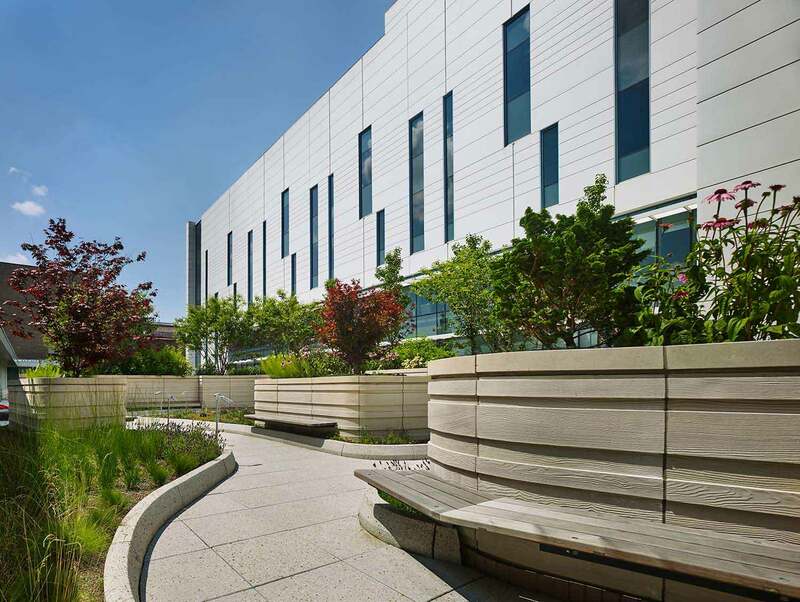 A four-season healing garden sprouts from the second-floor roof and is available to the hospital community.